The final pre-Evolution events of the season are in the books, and you can view the results below. The era of The Movie Collection has come to an end, as Evolution will be in full effect for this weekend’s Texas Regional. Attendance is looking to be higher than ever (and capped at 256), so be sure to pre-register! 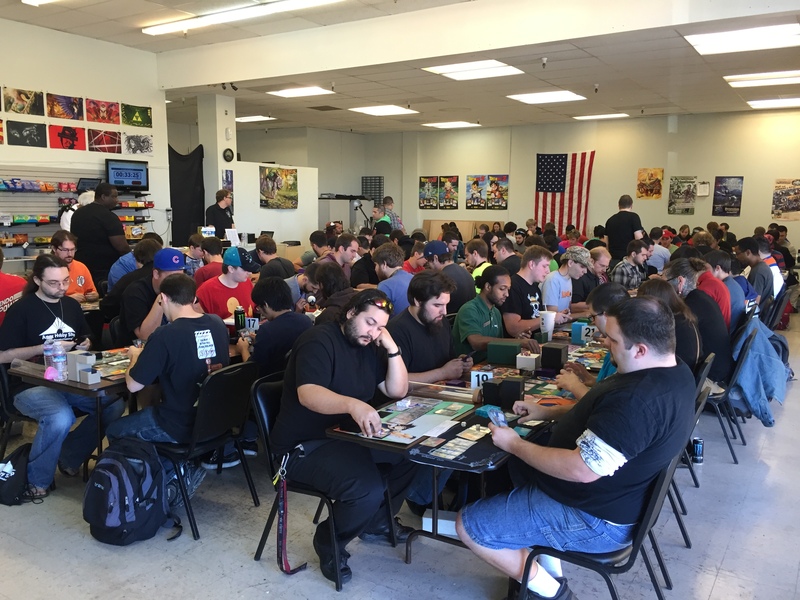 Last weekend, the California Regionals took place at Forgotten Path games in Vacaville. One thing is certain – whoever wins Texas is going to earn it! In addition to the Regional, the Toronto Qualifier was running on the same day. 29 players attended, with the invites going to Spencer Gerhardt (1st) and Nick Wasinski (2nd)! Check back tomorrow for a full breakdown of Worlds info, including dates, locations, side events, swag reveals, and other general information. Even if you are not qualified for Worlds, you’re going to want to attend! Finally, the full visual checklist of Evolution will be posted in the near future. Please note that it will not include the promo cards for this set. Will Houser playing NO Confrontations and top 4?!? I bet he was the only one with confrontation/stare down in top 16. Maybe players need to rethink what the consider “staples” .